Quickie: New Cast Member on SNL! After much discussion and controversy over the lack of diversity on Saturday Night Live (especially after adding four white male cast members at the beginning of the season), the show has announced that they will be adding a black female comedian to the roster of performers on the show. 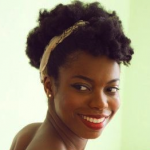 Starting with the January 18th episode hosted by Drake, Sasheer Zamata will be joining the cast, becoming the first black-female comedian to be part of the show since Maya Rudolph. It will definitely be exciting to add some new creative energy to the cast, and we can’t wait to see how Sasheer does on her first show!